Blown away and deeply inspired. That’s how I feel right now after reviewing the 2018 Step Up to the Spotlight Contest entries. Thank you for submitting your precious song babies!! One of the things that moved me the most was how hard all of you work on your music 24/7. Thank you. We’ve watched over four dozen entries! And I gotta say, it was really tough to choose the winners. We selected based on artistic talent and songs first, and needs second. We wanted to choose people who would really benefit from working with us. Before you scroll down to see the winners, please read these few important notes. First, one of the primary reasons I do these contests and scholarships — is to give back. One of the biggest challenges for artists is finances. So every year, throughout the year we give numerous opportunities to win scholarships to our programs. Last year alone we gave away over $40,000 in free scholarships. We are committed to the music community of artists and are here to make it easier for as many as we can — and to gift those that we see working hard with a passion to learn and grow. Not winning or receiving a scholarship, as in any other temporary disappointment in life, can stop you unless you let it. Matter of fact, let it fuel you all the further to commit to your craft, right here, right now. Trust me when I say, that making these selections is never easy. I don’t consider music a competition — but that said, this allows us to reward those that are working hard to raise the bar on recorded music and we see the fruits of those efforts in their craft. We just want you to know that we never take this offer lightly. We never take you or the time and resources you put in to your music, for granted. As a fellow artist and business owner, I have deep and tremendous respect for you and your dreams. And, I want you to win and to know that: You can do this. You are capable. You have the power to bring your music dream to life. Never let anything or anyone stop you. Ever. Whether you’re able to join us for Step Up to the Spotlight or not, my support is not going to go away. Ever. But then, I think you know that by now ;). I’ll be here each week talking to you through my blogs, videos, our 6-12 free trainings per year, and everything else we create and share. I’ve been in business now for over 30 years and if you’ve been connected to our work for any amount of time, then you know this to be true: we’re fiercely dedicated to providing consistent encouragement, wisdom and tools to keep you growing and moving ahead. And the vast majority of our work is created and shared, free of charge. **If your name is on this list, look for your prize details in your inbox. 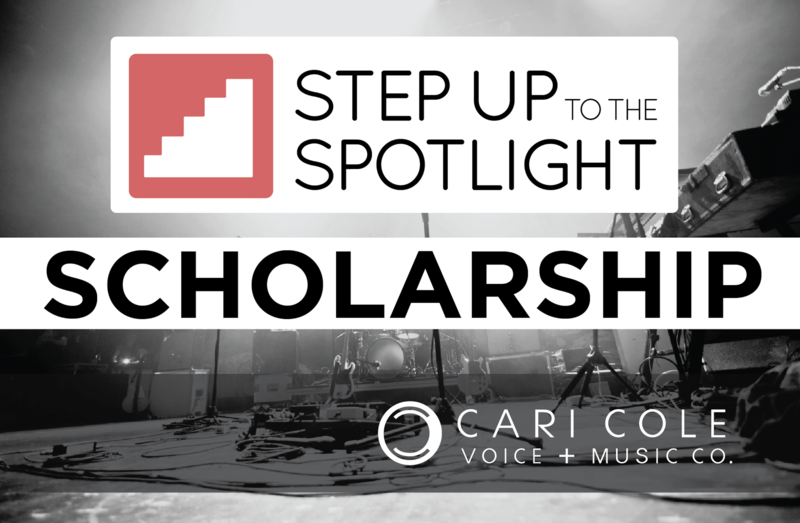 If you can’t find it, shoot us an email with “Step Up to the Spotlight Contest Winner list” in the subject line. Since we’re in the middle of Step Up to the Spotlight enrollment, our email volume is much higher than usual, so please be patient. We’ll make sure you’re fully taken care of well before the course begins!